In this blog, originally published as a guest commentary on the Chicago Council on Global Affairs Global Food for Thought blog, IFPRI researchers Elizabeth Bryan and Hagar ElDidi discuss the differences in how the costs and benefits of small-scale irrigation technologies are distributed among men and women within the same households, how this is linked to women's empowerment, and what should be done to ensure that women participate in and benefit from irrigation. Looking at differences in how the costs and benefits of small-scale irrigation technologies are distributed across men and women within the same households, IFPRI research found that women are more constrained in adopting and benefitting from irrigation technologies compared to men. In Tanzania, while men started utilizing drip irrigation and motor pumps, women in the community still relied on labor-intensive manual irrigation methods, like hauling water with buckets. Even though men and women in a household shared the work on irrigated plots, women had less control over (or even knowledge of) selling the produce and the income generated. 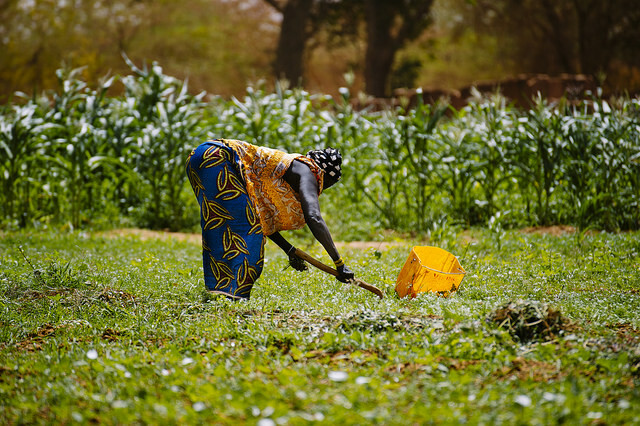 In some cases, the decision-making and asset ownership gaps between men and women increased after introduction of irrigation technology, as well as women’s work and time burden. Since irrigation roles are gendered—for example when it comes to the types of crops planted or the area and location of land allocated to men and women--women’s preferences for irrigation technologies are different from those of men. Designing and providing irrigation technologies with labor, mobility, cost, and use requirements that are suitable for women can help ensure higher demand and a suitable product for women.